Let’s start with the organ heard at the top of the song and throughout the verses. 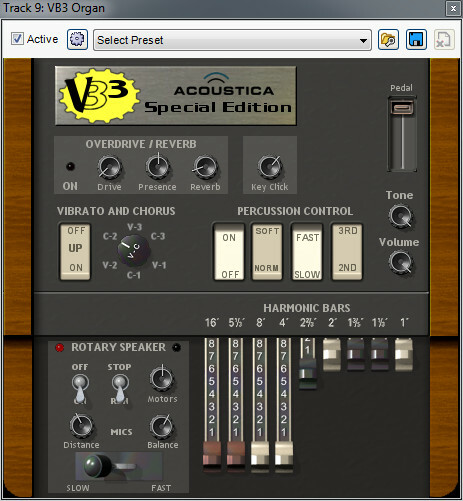 I used Acoustica’s VB3 Organ with the first four drawbars pulled out and a slow rotary speaker effect; I was going for a mellow organ similar to the one in The Cure’s “Love Song”. 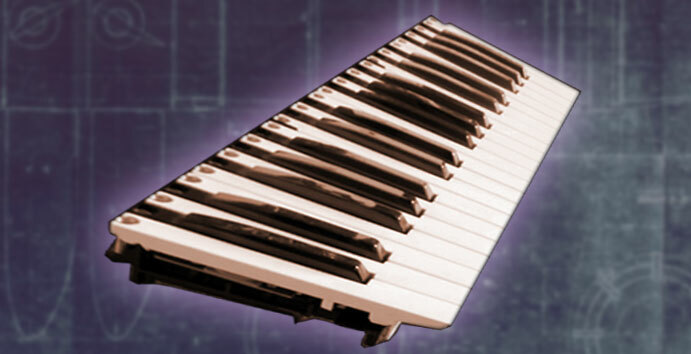 Next up is a pretty basic “string” synth pad sound (quotes used because it doesn’t sound that much like real strings). 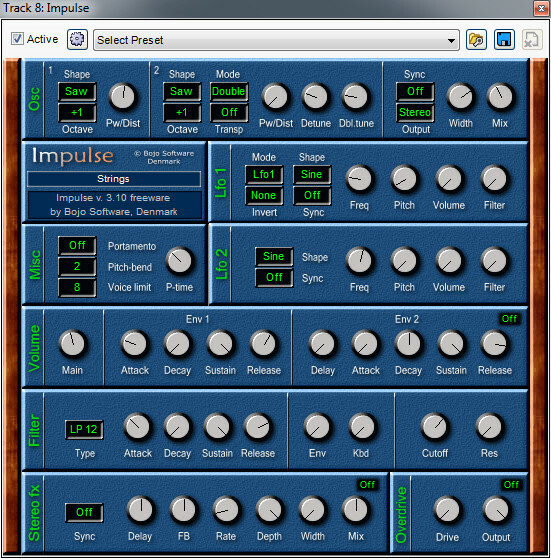 It’s a super basic sawtooth wave pad, courtesy of Mixcraft’s Impulse virtual synth. This one happened early in the song’s creation – I tend to make quick and dirty sounds to get ideas down early on, and as parts are more solidified, I go more nuts with sound design. 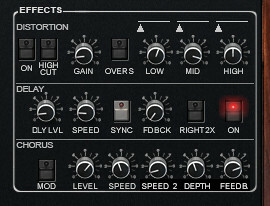 For swooshy movement, I added a Kjaerhus Audio Classic Phaser (oh Kjaerhus, how I hate to spell thee!). Nothing super special about the settings, except for the rate that I dialed down to its slowest setting. 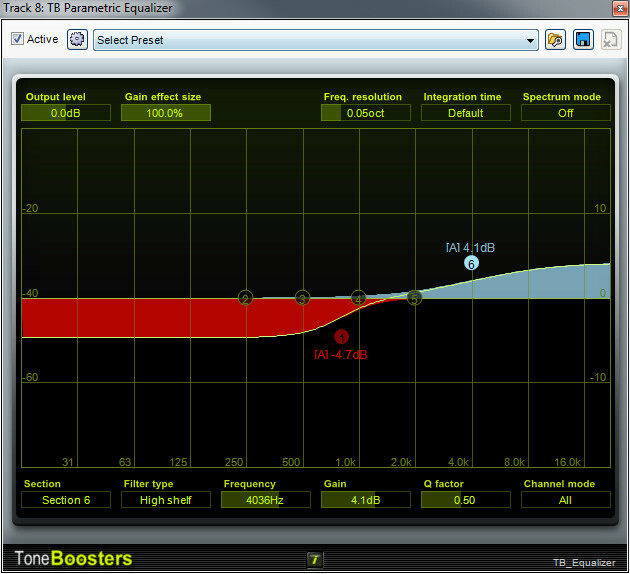 Later on, I tweaked the EQ with a TB Parametric EQ. I reduced the lows 4.7 db at 817 Hz using a low-shelf EQ (to reduce interference with kick drum, bass guitar and synth bass) and boosted the highs 4.1 db at 3890 Hz with a high-shelf EQ (for more brightness, obviously). In retrospect, I could’ve accomplished the same with the built-in channel EQ, because the frequencies and slope settings weren’t at all critical – imagine a sort of audio equivalent of a painter’s broad strokes. There’s a also a 1/4 note tape delay effect on the channel insert from Kjaerhus Audio’s Classic Delay. Again, nothing too critical about this, it just adds some extra ambient creepiness. Looking at all these screenshots, it occurs to me that I could’ve just used Memorymoon’s onboard delay effect, but sometimes I add effects later in the mix process, so I probably just threw one on the channel at some point. 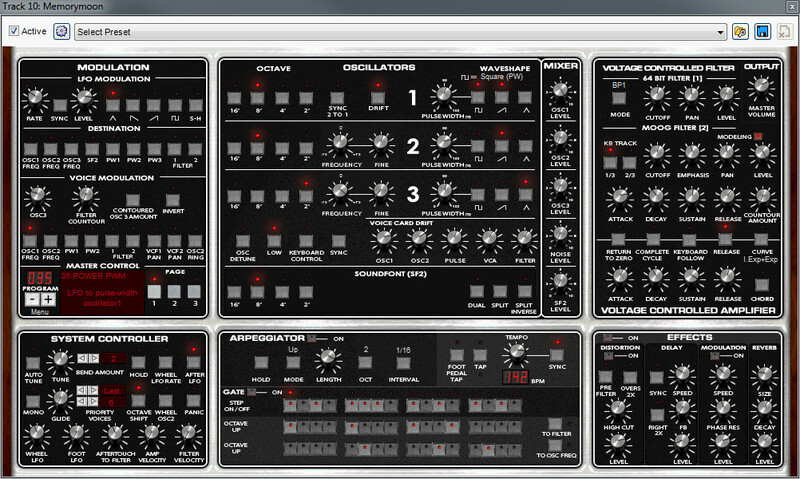 Next up we have the MiniMogue VA synth bass part. I went back and forth as to whether to use this during the entire song, but the electric bass part already had a fair amount of movement, so I was afraid of tromping all over it. I ended up using it only at the end of the song where the extra girth was a good way to make the outro choruses more substantial. 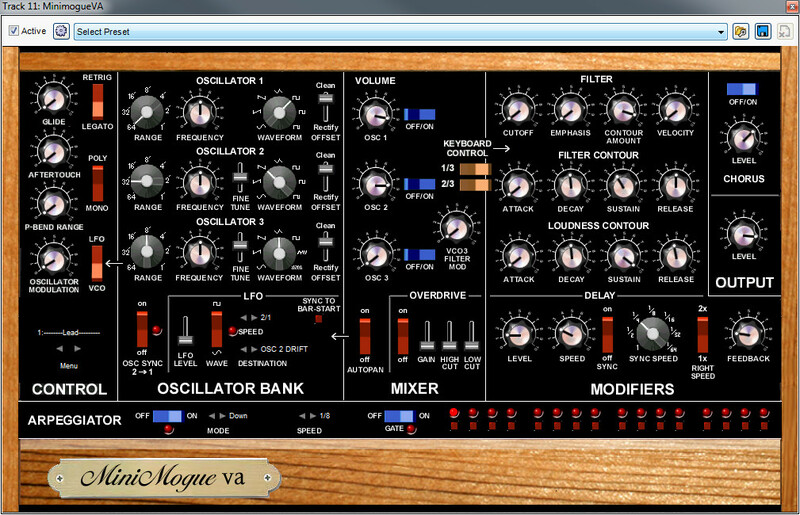 The essence of the Minimogue patch is a punchy and aggressive tone using two oscillators tuned an octave apart. Oscillator 1 is set to a 64′ square wave, with Oscillator 2 an octave above set to a 32′ saw wave, both mixed at equal volume. Though the filter cutoff appears to be set to zero in the screenshot, its frequency is being modulated by the filter contour envelope – note that the Contour Amount knob is almost all the way up. This makes the filter contour envelope controls affect the cutoff amount, and here we have a super fast attack and medium decay, sustain and release level. This makes our bass tone not unlike a brawny, synthesized bass guitar, albeit with a little more clipped release. The combination of this doubling the live bass makes for a pretty formidable bass section. Next are the little “whooshes” that lead into the choruses. Likely a result of too much early Human League and the like, when many musicians are pondering a drum fill during section changes, I’m frequently thinking, “hey, laser blast!”, or, “white noise swoosh!” This time I went with white noise with a broad highpass filter sweep and cranked up resonance. I used Messiah, mainly because of the highpass filter option (click the “Mode” button to cycle through the filter options). Since this patch doesn’t make use of the regular oscillators (just white noise), I only screenshot the relevant parts for clarity. Mainly what’s happening is that by turning up the Filter Envelope, the filter envelope controls beneath are automatically sweeping the cutoff frequency, thus creating our “swoop”. Meanwhile, the amplitude envelope controls to the right are set to a basic curve resembling an on-off switch, in order to let our filter envelope do its thing. The tricky part with these kinds of sweep sounds is that it’s important to carefully set the attack time of the filter envelope so the sweep is in tempo with the song; in this case I wanted the sweep to last four beats (i.e. one bar). Just to be complete, the shot below shows the little quarter-note delay I added using Messiah’s onboard effects. You can see from the Delay Level setting that it’s pretty quiet. In addition to the delay, I added a fair amount of reverb using a send channel. I actually just sent this to the same Kjaerhus Audio Classic Reverb already used for the snare drum. Finally we come to my favorite synth sound in the whole track. 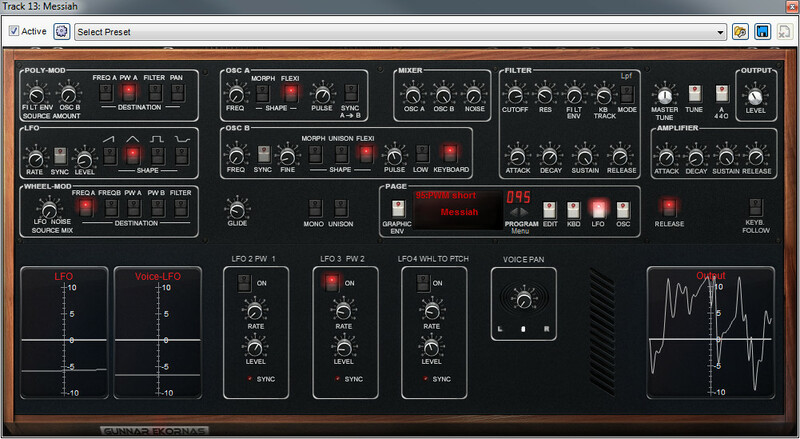 Going back to what I was saying about being on a neverending quest to create creepy synth pads and warbles, a lot of that comes from my obsession with the infamous Moog Polymoog “Vox Humana” preset, made famous on just about every Gary Numan song. There’s a pretty specific way to get that sound, and most synths don’t have the architecture to do it correctly, but that doesn’t stop me from forever attempting to create it on any polyphonic software or hardware synth I get my mitts on. I frequently end up with some sort of creepy variation thereof, hence the warbling poly pad I used for the outro chords, created with Mixcraft’s Messiah virtual synth. Basically what’s going on here is that Oscillator A is set to a basic sawtooth wave with the low-frequency oscillator section (aka LFO) providing a basic vibrato, while Oscillator B is set to a square wave with its pulse-width modded via LFO 3. Between the vibrato on one oscillator and the pulse-width mod on the second one, it’s warble city (if anyone would like me to nerd out further on the finer points of the synth programming, let me know and I’ll make you wish you never asked ). 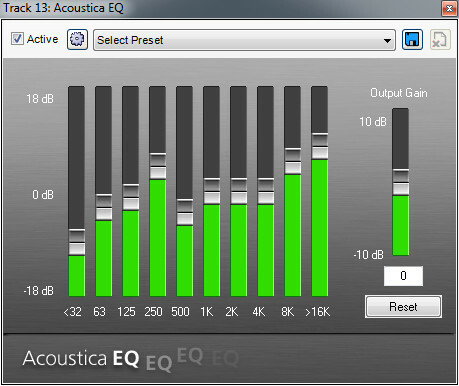 I also inserted a graphic EQ on the channel. This knocked out unneeded low-end, added some low-mid honk, and increased overall brightness. I can’t explain why, but I often like the sound of dialing back the cutoff frequency on a synth’s filter then adding highs back with an EQ. It’s a different sound than merely opening up the filter cutoff. Along that line of thinking, I always consider synth filters and EQ settings as one big entity; in other words, when setting one, I’m always thinking of how I’m going to set the other. Phew, that about covers it! Next installment, we’ll cover the tracking, layering, and mixing of lead and backing vocals.